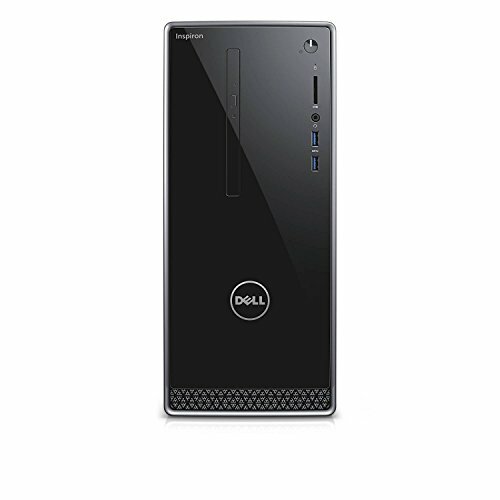 Dell i3668 Inspiron Desktop with 2G graphics card. Nvidia GeForce GT 730 2G and Intel i7-7700 Processor upto 4.2 GHz. 16 GB Memory and 2TB Hard Drive. Purchase 2017 Newest Dell 3668 Inspiron 7th Generation Mid Size Tower Computer PC (Intel Quad Core i7-7700, 16GB DDR4 Ram, 2TB HDD, 2GB NVIDIA GeForce GT 730, HDMI, WIFI, DVD-RW) Win 10 Pro (Brand New) 1 Year at Discounted Prices ✓ FREE DELIVERY possible on eligible purchases. 1- Year Limited Hardware Warranty and 90 days Limited Technical Support for Software and Initial Setup (From Date Of Purchase). Intel Quad Core i7-7700, 7th Generation High Performance 3.6GHz Processor. 16GB DDR4 2400MHz RAM / 2 TB Hard Drive. ( McAfee LiveSafe ) Free Internet Security For 1 Year. 2GB NVIDIA GeForce GT 730 Graphics, 802.11 Wireless-N + Bluetooth 4.0, 2 x USB 3.0, 4 x USB 2.0, 1 x HDMI, 1 x Combination Audio jack, DVD-RW, RJ-45. Microsoft Windows 10 Professional (64-bit). Comes With 1 Year Brand New Limited Warranty. Comes In Original Brand New Never Opened Box.